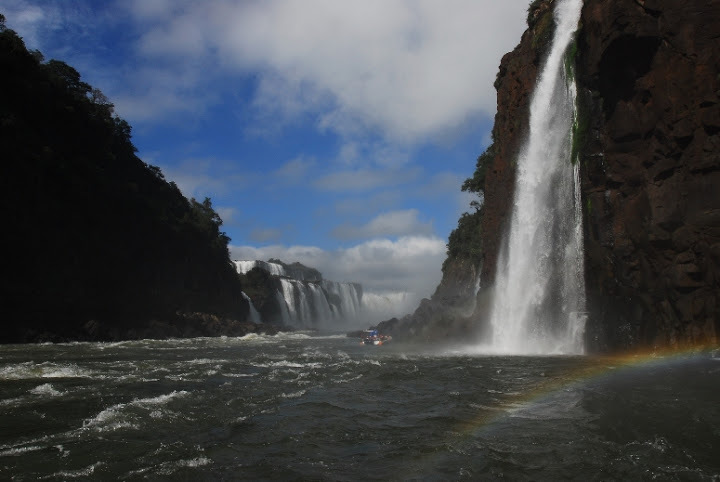 Bernard Weber, Founder-President of New7Wonders, (left) with Maurice Closs, Governor of Misiones, (right), at the unveiling of the plaque listing Iguazu Falls as one of the New7Wonders of Nature. In the first part of our series reviewing the Official Inauguration celebrations for the New7Wonders of Nature, we visited the Philippines. That trip was followed by a journey to Vietnam, and today we’re on the border of Argentina and Brazil recalling the Official Inauguration of Iguaza Falls. 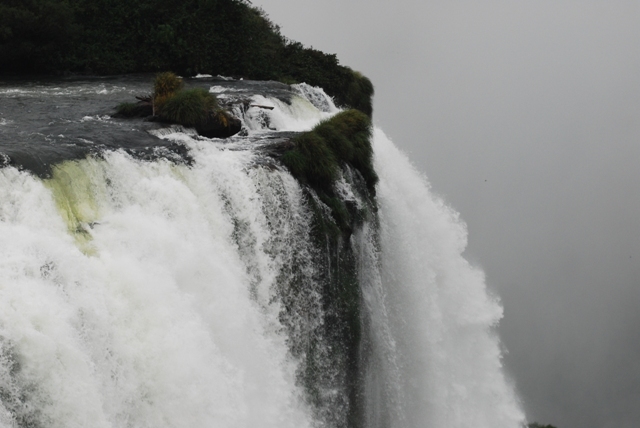 The candidacy of these magnificent displays of falling water was shared by both countries and in late May, the two hosted memorable events to mark the listing of Iguazu Falls as one of the New7Wonders of Nature. 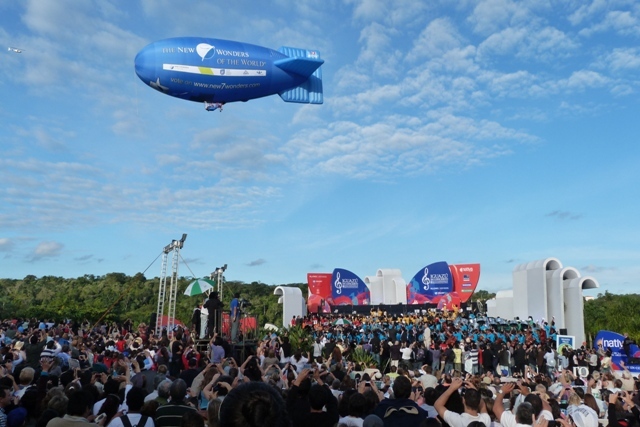 As the New7Wonders airship hovers above the rainforest, the assembled crowds celebrate the inclusion of Iguazu Falls in Global Memory. Brazil: Accompanied by music and fireworks, the unveiling of a specially-cast commemorative bronze plaque honouring the cross-border achievement took place in Foz do Iguaçu in Paraná state. 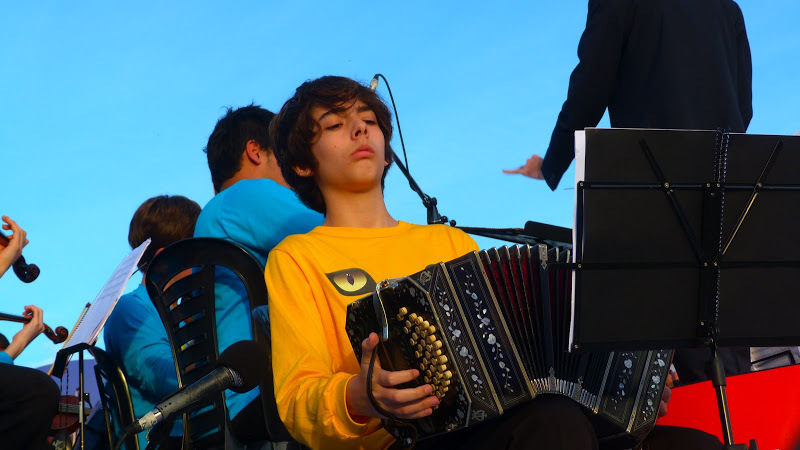 Argentina: Young bandoneón player at the official inauguration of Iguazu Falls as one of the New7Wonders of Nature. The bandoneón is a type of concertina particularly popular in Argentina. Iguazu Falls are an incredible sight as tonnes of water pour over steep cliffs and thunder down in an endless display of nature’s awesome power. The name “Iguazu” comes from the Guarani or Tupi words meaning “water” and “big”. The cascades produce rainbows and spray that create an unforgettable panorama of sound and vision.